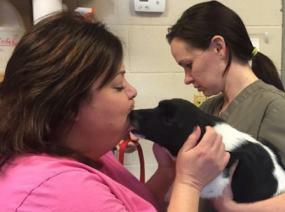 The safety and well being of animals in Cabarrus is not a job one agency can do alone. Community commitment has improved adoption rates, and generosity from local partners and veterinarians is crucial to efficiency and effectiveness. Collars and leashes of varying sizes. Help our shelter pets sleep and relax in style! Kuranda beds are cozy cot style beds that give our animals that extra ounce of comfort. These are the best beds for the shelter environment as they are chew proof, easy to sanitize and provide orthopedic comfort. No more sleeping on the floor. Consider donating a bed for our shelter animals. All the animals will get to use the beds, strays and adoption animals. Donate a Kuranda bed. 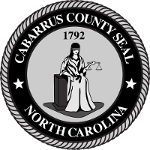 Cabarrus County operates a special fund to take donations for non-essential medical expenses for animals housed in the shelter. The County works with local veterinarians to negotiate services at a reduced rate. Financial donations can be brought to the shelter in person or made over the phone with Mastercard or Visa cards. Call 704-920-3291 to make a donation to help our shelter critters! Items listed express the need, but do not need to be exact, similar items are also welcome. Items purchased from our wishlist will be shipped directly to the shelter.